On the 13th August, the government announced new measures which will allow applications for shale gas developments to be fast tracked through a new, dedicated planning process. The plans were announced by Energy and Climate Change Secretary, Amber Rudd, and Communities Minister Greg Clark and will ensure local people have a strong say over the development of shale exploration in their area. At the same time, the new measures will ensure communities and the industry benefit from a swift process for developing safe and suitable new sites. Included in the measures would be the identification of councils that repeatedly fail to determine oil and gas applications within the 16 week statutory timeframe. The introduction of these measures comes as the government made it clear that shale is a national priority that will help move the UK to a low-carbon economy. Ministers are keen to ensure that shale applications cannot be frustrated by slow and confused decision making amongst councils. They have stressed that applications which take months, sometimes years, create uncertainty for communities and prevent the development of a potentially vital national industry. Under the new measures, ministers will consider calling in any application for shale exploration and will recover appeals on a case-by-case basis. The measures will not affect the local communities’ involvement in planning decisions and demanding planning rules to ensure shale development happens only at appropriate sites remain unchanged. 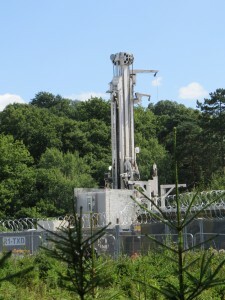 Other key measures introduced are; adding shale applications as a specific criterion for recovery of appeals, to ensure no application can ‘fall through the cracks’; ensuring planning call-ins and appeals involving shale applications are prioritised by the Planning Inspectorate; and taking forward work on revising permitted development rights for drilling boreholes for groundwater monitoring. There are divided opinions on the development of fracking and the shale gas industry. An article from last month’s edition highlighted the implications of fracking as described by a report published by the Department of Environment, Food and Rural Affairs. To read it click here. The government are quite obviously eager to exploit the shale gas industry and they are set to present proposals later in the year on the design of a new sovereign wealth fund which will aim to see communities hosting shale gas developments get a share in the financial returns they generate. We will continue to report on the industry’s ongoing development as the situation develops.